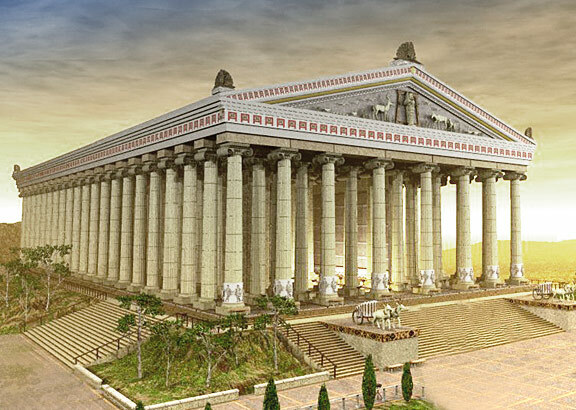 Remember how Paul encouraged his young protege Timothy to show tolerance in the wake of the outbreak of riots in Ephesus demanding religious liberty for the artisans of the temple of Artemis? Remember how he sought to persuade the church to take up a collection to help offset Alexander the coppersmith’s financial loss as a result of the spread of the Gospel there? Do you remember that? No? Neither do I. Because it didn’t happen. But, according to a couple of agencies in the Southern Baptist Convention, maybe such a show of ecumenical support should have happened because that exactly what they did some two millennia later. We reported last year about the alliance of the SBC’s International Mission Board (IMB) and its Ethics and Religious Liberty Commission (ERLC) in their joint support for a mosque building effort in New Jersey. Both agencies signed on to an amicus brief to support the Islamic Society of Basking Ridge New Jersey in its lawsuit seeking a redress for city zoning ordinances that denied building permits for its planned construction of a new mosque in the town. Through these agencies, the Southern Baptist Convention officially supported the Muslims in their mosque-building effort. But some individual Southern Baptists standing in pulpits and sitting in pews did not necessarily so agree. 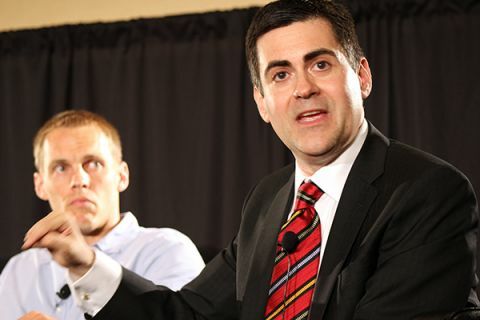 The ERLC’s president Russell Moore doubled down with sarcastic snarkiness to a question posed at the 2016 SBC Annual Meeting by the pastor of a cooperating SBC church about just how his agency could justify its support. Moore’s response exalted that particular idol of the ERLC – religious liberty – and indicated that among the many challenging issues facing the agency, of the many things that require concerted, focused thoughtfulness, the question to support the mosque building effort was not among them. It was a no-brainer. By December 2016, the mosque won as a federal judge weighed in on the dispute, landing on the side of religious liberty for the mosque. That brought the issue to a close … for the Muslims. But for Southern Baptists, the eagerness of their Cooperative Program-funded agencies to support what many Southern Baptists recognize as the face of evil on the planet, the problem hasn’t gone away. Much like evil itself, the repercussions from SBC support of mosque-building is still very much alive. Earlier this month, a trustee of the IMB resigned in protest to that agency’s participation in the mosque-building effort. 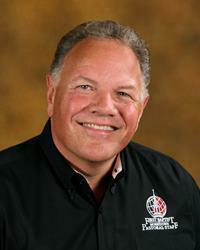 The trustee, Dean Haun, is pastor of First Baptist Church of Morristown, Tennessee. He also happens to be a former president of the Tennessee Baptist Convention. Apparently, Haun hasn’t received a viable, Biblically responsible answer to his query. As reported in the Christian Post, Haun and his 2,000 member church have taken the next step to hopefully make their point. The church voted … unanimously … to withhold its contributions to the Cooperative Program. This effectively prevents funds collected through their offering plates to make their way to support an IMB and ERLC that seem to exhibit more allegiance to religious liberty than they do to the exclusivity of Christ. Haun’s church gives about 11% per year to the program. Their annual Lottie Moon Christmas offering in 2016 exceeded $150,000 to the SBC cooperative missions effort. Last year the church gave “around a half million dollars” in missions funding. Though the church will still continue to financially support the state convention in it’s Tennessee missions efforts, the funding that would have gone to the Cooperative Program is being escrowed. So, in light of the IMB and ERLC’s bold stand with Muslims, at least one pastor and one church are making their own bold stand … against their own denomination. They are standing boldly for the exclusivity of the Gospel message for which Southern Baptists have – perhaps until the IMB/ERLC mosque-building effort – always been known. Yet, for the IMB and the ERLC and much of the SBC, “American” Christianity is the theology hurled from pulpits, absorbed in pews, and serves often to drive the agenda of CP-funded agencies. Religious liberty is the preeminent “spiritual” gift the false god of that false faith can offer, and the SBC seems all too eager to bend a knee to it. It’s unlikely that Haun’s stand alone will prompt the behemoth SBC to realize it’s error and repent, but Haun and his church should be applauded for their stand. While the SBC seems decidedly unconcerned about the sovereignty of God, the exaltation and exclusivity of Christ, and the need to “contend for the faith,” at least one church seems to be. Scriptural commands like Paul’s have become, in the SBC, more like Scriptural suggestions. As evidenced by the IMB and ERLC in this case, apostolic orders, given by the inspiration of the Holy Spirit, are heeded about as much a smoke detector in a burning building. Scripture is visibly ignored. Unlike the Muslims who benefited from the ecumenical spirit of religious liberty-worshipping SBC agencies, and who ultimately won by the intercession of a federal judge, for those within the SBC, like Haun and his church, who staunchly disagree with this egregious SBC behavior, there is no federal judge to intervene. At some point, though, it will be the Supreme and Sovereign Judge who does.